It’s time for another What I Ate Wednesday post! I know I did one of these recently but I’m currently working on a few other posts which are taking a little bit longer (specifically some travel ones, so keep an eye out my fellow globetrotters!) and didn’t want to leave you guys hanging. Plus I always enjoy writing these posts, and you guys seem to enjoy reading them, so why not publish them more often. I’m still completely obsessed with pancakes; I know I featured these in my last What I Ate Wednesday post but I’ve been having these bad boys every other day. The good news, I now have the recipe up! It’s super easy and pretty healthy (before you drown them in syrup…) so check them out right here. As I mentioned in my previous WIAW post, I’m trying intermittent fasting. This means that I eat breakfast later than usual (around 9:30 or 10), meaning that there isn’t too big of a gap between breakfast and lunch, causing me to snack less. For lunch I’ve been loving salads; this warm weather has me craving fresh foods, which salads are perfect for. I know I wrote a blog post recently saying how much I really don’t like salads, but it seems that my taste buds have drastically changed in a short period of time; I’m genuinely enjoying salads right now. I think that’s largely down to the weather. 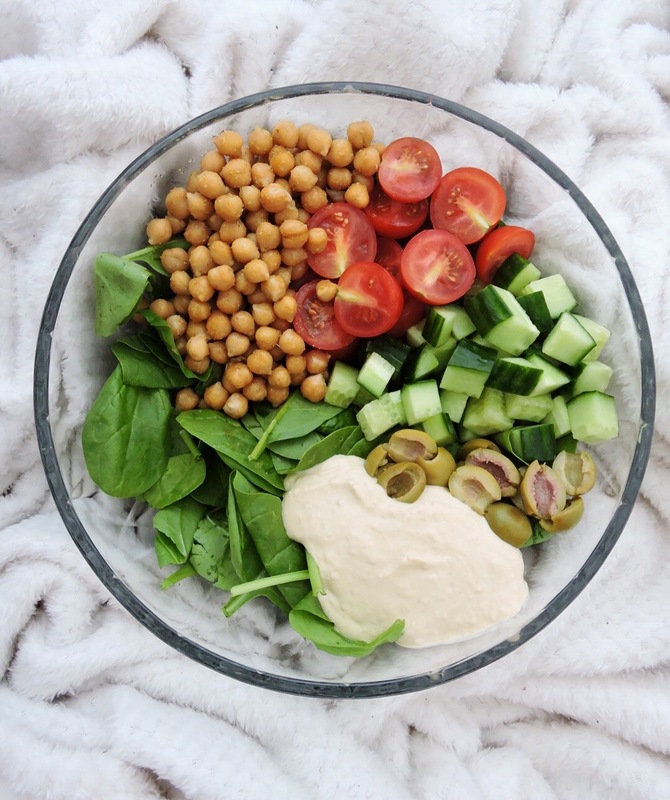 This time I had a bed of spinach with cucumber, tomatoes, olives, chickpeas and a dressing made with hummus and lime juice. I love baking and usually make a big batch of something at the start of the week to enjoy for a few days. 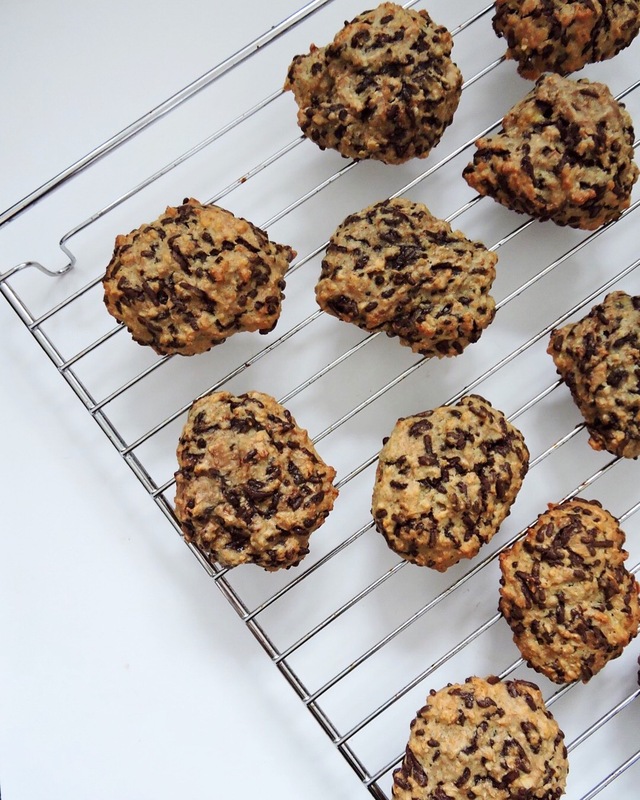 These were some healthy chocolate chip banana cookies; perfect for when I’m feeling peckish. 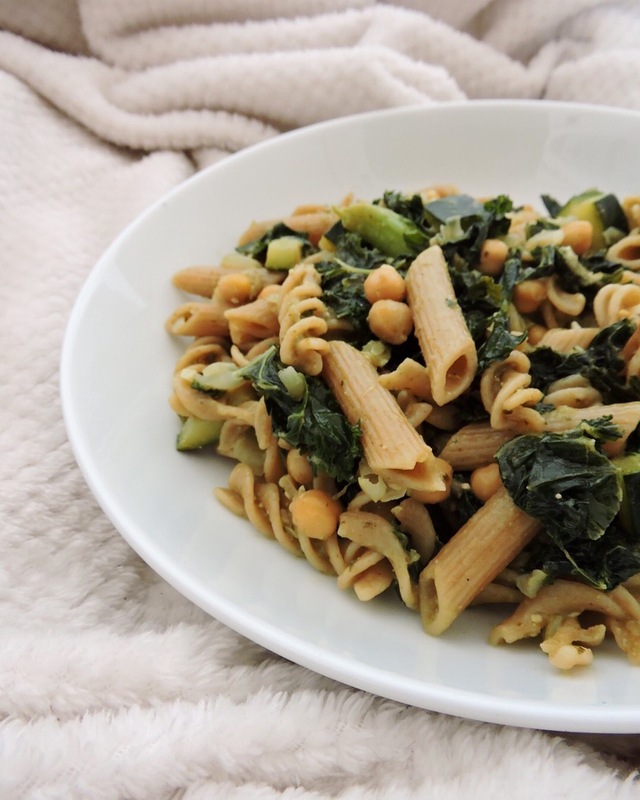 For dinner on this day I had whole wheat pasta with courgette, kale, chickpeas, green pesto, onions and garlic. I made a huge pot of this to eat throughout the week; it’s simple to make and uses cheap ingredients. I hope you enjoyed this post; let me know what your current favourite meal is in the comments below. And remember to follow me on Instagram for daily updates! 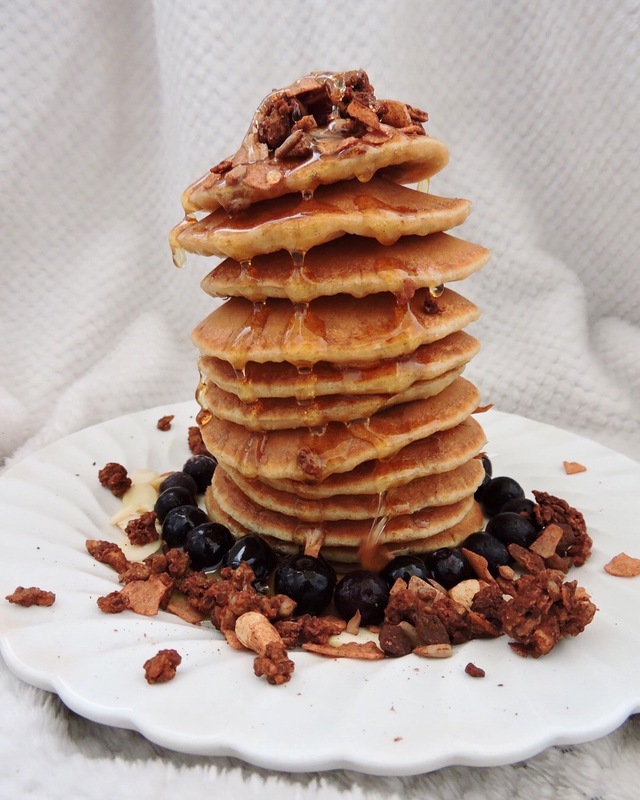 Easy & Delicious Vegan Pancake Recipe. 6 Top Tips for Effective Studying. Uhm, YUM! Do you have a recipe for that dressing, or was it bottled? Really, really need to try that.